The hotel is within the premises of "Michi-no-Eki"Hiruzen Plateau.Please aim at that.Parking space on site is free (50). There are two wheelchair parking spaces. Please use the high speed · Katsuyama Line (Chutetsu Hokubu Bus service). 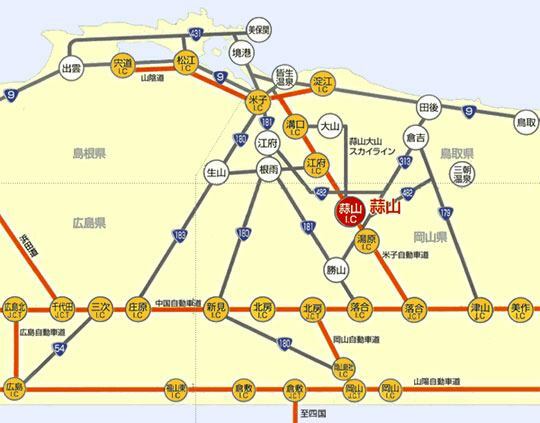 JR Chugokukatsuyama Station, you need to make a transit to the Maniwa City Community Bus "Maniwa-Kun" (Hiruzen / Kuze route schedule). For detailed timetable, please see the timetable of the Chutetsu Bus. ●Maniwa City Community Bus "Maniwa-Kun"